Join us for a FUNdraiser event benefiting Abby's Closet! This Adults-only Prom Event is a great chance for the 21+ crowd to glam it up and throw back. 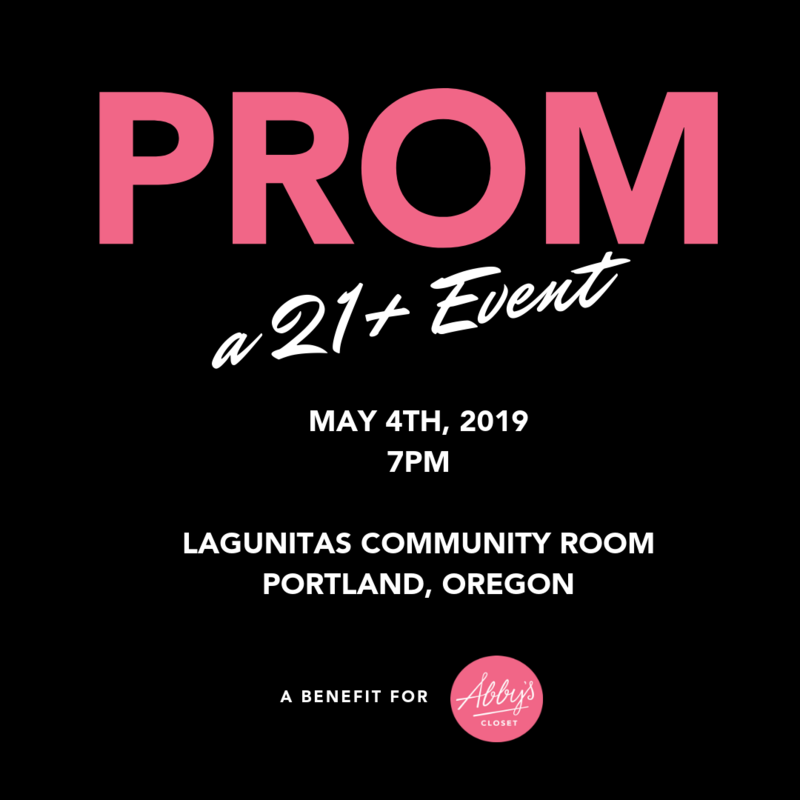 Come enjoy our DJ, PhotoBooth, and support our work empowering young people in Oregon and Washington! $35 per person and includes one drink (additional drinks available for purchase) Limited tickets available!